The Finance Department has the fiduciary responsibility to the residents, officials, and city departments to ensure accuracy and timely reporting of financial results and prudent cash management while adhering to all provision of the Government Accounting Standards Board (GASB), Generally Accepted Accounting Principles (GAAP), city ordinances, federal and state laws. Assessing – Ensures the valuation of residential and commercial property. Tax and Revenue Collection – The collection of taxes, process motor vehicles registrations, cash receipts and timely deposits. Information Technology & Channel 22 – Serves all City departments offering consulting, technical support, maintenance services, programming and application training as well as facilitate and administer information services via local cable broadcasts. 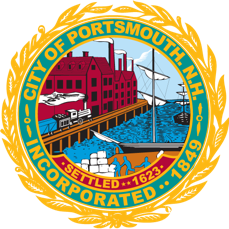 Purchasing – Administers the City’s purchasing procedures in accordance with the City of Portsmouth Purchasing Manual, which ensures the efficient means for procurement of materials, supplies and equipment. Employee Benefit Administration – Responsible for the administration, development, implementation, enrollment and communication of all benefits offered through the City of Portsmouth. Accounting – Functions of Cash Management, establish and maintain Internal Controls, competitive purchasing, Payroll, Employee Benefit Administration, Accounts Payable and water/sewer & miscellaneous billing. Bond Sale including the preparation of the Official Statements & Continuing Disclosure Annual Report.